Knowledge lies at the heart of western capitalism. The world economy is made up of many tiny parts that are useful only when we combine them into more complex wholes. The higher the value of these aggregations, the more economic growth.Humanity’s achievements – from the 120 ingredients of my clock to the countless financial deals and developments that produced the internet and flight navigation systems – all result from joining people and things to each other. That’s why western capitalism has triumphed for the past 150 years: it gave us the best knowledge to explore economic combinations. Capitalism does not need to be re-thought or re-invented; it simply has to be re-discovered. The reason credit and capital have contracted for the past five years in the US and Europe is that the knowledge required to identify and join parts profitably has been unwittingly destroyed. The connections between mortgage loans and liquid securities, between non-performing financial derivatives and the organisations that hold them; the non-standardised, scattered records that obscure who holds risks; and the off-balance-sheet accounting that obscures many companies’ health: these all make it harder to trust and hence combine. Until this knowledge system is repaired, neither US nor European capitalism will recover. Reformers and policymakers must recognise that they are not dealing with a financial crisis but with a knowledge crisis. Capitalism lives in two worlds: there is a visible one of palm trees and Panamanian ships, but it is the other – made up of the property information cocooned in laws and records – that allows us to organise and understand fragments of reality and join them creatively. The world of organised knowledge and joining began in earnest in the mid-19th century, when reformers in Europe and the US concluded that the segmented, undirected knowledge left by the old regimes could not cure the recessions that beset early capitalism. They faced what was known as “the knowledge problem”, the inability to select and store dispersed information about economic things. Those reformers created “property memory systems” to map – in rule-bound, certified and publicly accessible registries, titles and accounts – all the relevant knowledge available on assets, whether intangible (stocks, patents, promissory notes) or tangible (land, buildings, machines). Knowing who owned – and owed – what and where, and fixing that information in public records, made it possible for investors to locate suppliers, infer value, take risks and combine such simple things – to borrow a famous example – as graphite from Sri Lanka and wood from Oregon into pencils. Reformers also helped to solve “the binding problem,” finding the information needed for parts to fit together. This metaphysical concern affected all disciplines: physiologists discovered that what binds cells to form an organ performing specific, sophisticated functions is a nucleic acid now called DNA. The logic behind the property documentation is the DNA of capitalism. Modern recording systems evolved from data warehouses certifying isolated assets, into factories of facts for facilitating the knowledge entrepreneurs need to combine assets, skills, technologies and finance into more complex and valuable products. Thus, real estate documentation no longer just says that Smith owns the house on the hill but also describes that house as the address at which mortgages can be foreclosed; debts, rates and taxes collected; deliveries made; and from which utilities services can be controlled and bills collected. This knowledge allowed western economies to grow more since the second world war than in the previous 2,000 years without big credit contractions. Until 2008, when we began to learn that memory systems had stopped telling the truth – through off-balance-sheet accounting; debts buried in footnotes or the ledgers of “special purpose entities”; financing raised by “bundling” mortgages into securities not recorded in traditional public registries; and nations masking debt as income by swapping it from one currency to another. No wonder institutions and investors have lost confidence in the system. The brilliance of western capitalism lies not in providing a formula for wealth creation but in its property memory systems, which are the result of examining, selecting and validating information about who owns land, labour, credit, capital and technology, how they are connected and how they can be profitably recombined. For the past 15 years, the records of western capitalism have been debased, leaving governments without the facts to spot what needs to be fixed and for businesses to know where their risks are. To regain its vitality, western capitalism must bring under the rule of law and public memory hundreds of trillions of dollars now swirling mindlessly out of control in the obscure world of financial innovation. That task requires major political leadership. MUNICH – It has been ten years since the financial crisis went international. Until July 2007, the subprime mortgage crisis seemed like it was strictly a problem for the United States. But then Landesbank Sachsen and IKB Deutsche Industriebank, two publicly-owned regional German banks, had to be bailed out, and it suddenly became clear to policymakers just how interconnected the global financial system had become. The legacy of 2007 is still with us. Its most devastating and destructive effect was to put a premium on unconventional monetary measures. Unfortunately, when policymakers scrambled in search of “big bazookas” ten years ago, they set the stage for the return of an old character: a strongman willing to pull the trigger. To be sure, at the height of the financial crisis, politicians were right to conclude that they could not rely on business as usual. Central banks needed to provide liquidity on a massive scale, and governments needed to complement those monetary-policy efforts with fiscal expansion. Accordingly, China and the US, in particular, launched large-scale stimulus programs in 2008 and 2009, respectively. Some of the extraordinary measures implemented in response to the financial crisis proved to be ill-conceived, and were abandoned or revised. In the US, the Troubled Asset Relief Program (TARP), which former President George W. Bush signed into law in October 2008, started out as a program whereby the Department of the Treasury purchased problematic, largely mortgage-based assets directly from financial institutions. But that turned out to be more complicated than originally thought, and, within weeks, the government simply recapitalized US banks instead. Other bad decisions were not so easily reversed. Hoping to prevent a bank run, the Irish government offered a blanket guarantee for all banking deposits. With that one unilateral decision, Ireland destabilized the rest of Europe. Suddenly, other governments had to fear that their own banks’ depositors would flee en masse to the backstopped Irish banks (never mind that the cost of the guarantee was too much for the Irish government to bear). Still, overall, the response to the financial crisis was strikingly successful, and those who led it were right to pat themselves on the back for having prevented a repeat of the Great Depression. But, because unconventional policies were so effective, they are now considered appropriate and necessary responses to any problem, while constitutional safeguards are increasingly dismissed as petty bureaucratic concerns. Already in 2008, former Federal Reserve Chairman Paul Volcker warned that the Fed was at “the very edge of its lawful and implied powers.” Of course, some might ask why a policymaker should not ignore that edge for the sake of the country’s welfare. But invoking salus populi suprema lex – the maxim that laws should reflect the public interest – is an old way of justifying autocracy. Indeed, who is to say what is in the public’s best interest, let alone determine the supreme law of the land? The post-crisis view holds that a powerful leader can and should fix things by himself (strongmen are rarely women). This approach was readily apparent in the Russian government’s response to collapsing aluminum prices in 2009, when job losses and unpaid wages gave rise to large-scale protests at a plant in Pikalevo, 150 miles (250 kilometers) southeast of St. Petersburg. When then-Prime Minister Vladimir Putin toured Pikalevo, he made a show of humiliating the plant’s owner, the oligarch Oleg Deripaska, by calling him a “cockroach.” Putin didn’t announce any new policies to help Russian workers; nonetheless, his performance in Pikalevo was hailed as a bold assertion of state power in the face of capitalist excess. Strongmen tend to present themselves as being uniquely able to tackle a specific problem. For Philippine President Rodrigo Duterte, that means a “war on drugs” that has led to thousands of extrajudicial killings. Putin and Turkish President Recep Tayyip Erdoğan justify their policies in the context of fighting terrorism. And Hungarian Prime Minister Viktor Orbán has framed his autocratic behavior as a necessary response to a domestic financial crisis. By focusing on one narrow “crisis,” these leaders create a mindset in which all other problems become crises that demand immediate, effective, and unconstrained action. This post-crisis mentality is in keeping with the German political theorist Carl Schmitt’s doctrine of “decisionism.” Schmitt, who joined the Nazi Party in 1933, held that sovereign decision-making is the central feature of the political process. When leaders make political decisions, they are reasserting control over the concept of sovereignty itself, which has been gradually eroded and transformed through various phases of globalization. According to Schmitt, how leaders arrive at their decisions is secondary to the fact that a decision has been made. A sovereign “needs” to act forcefully to protect particular threatened interests. Often, this entails symbolic gestures. In 1930, for example, America’s Smoot-Hawley Tariff Act singled out Swiss watches, Japanese silk products, and other nationally iconic imports. Protectionism today is no different. Consider US President Donald Trump’s threat to impose tariffs against BMW and Mercedes-Benz: two high-visibility brands that one immediately associates with Germany. In response to Trump’s threats, Europe has also tapped into the politics of symbolism. If Trump follows through, the European Union may retaliate by targeting bourbon whiskey, a distinctly American spirit that is heavily produced in Kentucky, US Senate Majority Leader Mitch McConnell’s home state. Unfortunately, this approach has created a political environment in which established norms have been eroded, and no new norms have taken their place. The Soviet-born British journalist Peter Pomerantsev said it best in the title of his brilliant book about post-Soviet life: Nothing Is True and Everything Is Possible. Now that crisis has been normalized as a permanent condition, we are all post-Soviet. 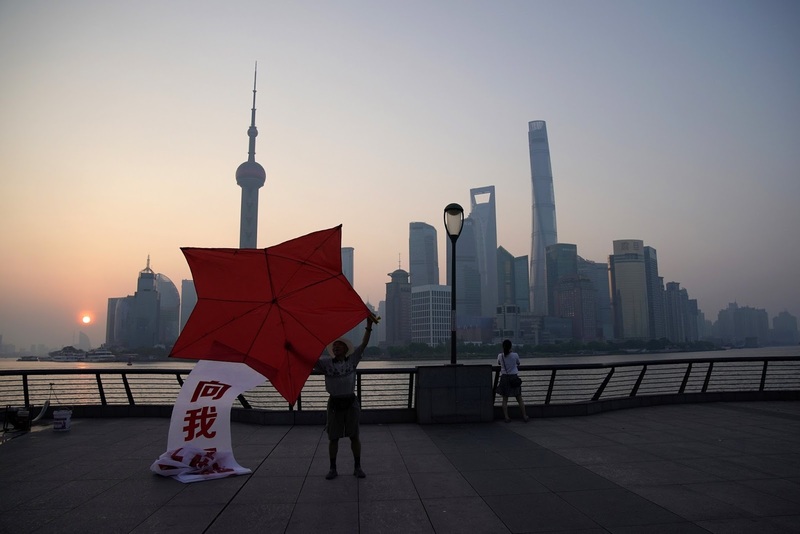 China is in the midst of a historic summer heat wave—temperatures in Shanghai hit their highest in 145 years on July 21. However, the country’s economic growth, which surprised on the upside in the first half of the year, is suddenly looking less hot. China’s official factory and services sector gauges both ticked down in July—the first concerted decline since April, although both indexes remained in positive territory. More important, the purchasing managers’ indexes contained hints that two of the most bullish factors for Chinese growth in recent months—fat industrial margins and strong exports—may be waning. The new export orders PMI subindex fell by 1.1 points to 50.9, its sharpest drop since late 2014. That’s worrying because the turnaround in export growth has been one of the main factors painting a brighter picture for China this year. As recently as March 2016, falling net exports were subtracting nearly a percentage point from the annual growth rate. However, by early 2017 the global recovery in trade was adding nearly half a percentage point instead. If China’s July trade data confirms the latest weakening trend, downside risks in the second half will increase. The sharp rise in factory input costs and a much weaker gain in sales prices imply that margins probably weakened in July after months of expansion, which drove industrial profits up 19% from a year ago in June. The factory-gate price index rose 3.6 points, but the input price index rose nearly twice as fast, and hit its highest level since March. Rapidly rising steel prices may be one factor—China’s statistics bureau noted that both input and output prices rose rapidly in the iron-and-steel sector in June. Downstream companies in machinery and other industrial sectors will start to feel the pinch. On the whole, July’s PMI shows the economy still in good health—but if margins keep eroding and exports slow further, the picture could darken in late 2017 or early 2018. The U.S. has issued a direct challenge to Russia with the passage of expanded sanctions. U.S. President Donald Trump begrudgingly signed a bill Aug. 2 that was passed by both the House of Representatives and the Senate with veto-proof majorities. If Russia does not respond, it will appear weak – something the Kremlin can’t tolerate. The question now is not if Russia will respond but how. The answer is already beginning to take shape. The Russian Federation is a shadow of the Soviet Union, but the strategy it employs is still much the same: undermine the U.S. alliance structure by challenging the U.S. in peripheral areas. If it can distract the U.S. and make U.S. allies question Washington’s reliability, Russia will improve its negotiating position when it comes to other issues of vital Russian interest. Russia has therefore made moves in a few important areas that should be seen as a response to the sanctions. The first area is the Caucasus. On July 31, a delegation from Russia’s Defense Ministry visited Georgia’s breakaway region of South Ossetia to implement a deal that would integrate South Ossetian soldiers into the Russian army. On the same day, Abkhazia, another Georgian breakaway region, ratified an agreement to establish an information and coordination center with Russia. Meanwhile, Azerbaijan has withdrawn from NATO’s Noble 2017 exercises, and tensions seem to be rising once more on the eternal Nagorno-Karabakh problem. In the North Caucasus, Russia’s goal is fairly straightforward: to remind Georgia just how flimsy U.S. security promises are. In the South Caucasus, Moscow can exploit the drifting apart of Azerbaijan and the United States. It is an ideal place for Russia to push back against U.S. containment and undermine U.S. legitimacy. The fact that in recent months Turkey and Russia have reached an accommodation of sorts only exacerbates this reality. This type of activity has been most evident in the Caucasus, but it’s not the only place Russia can cause trouble for the United States. The U.S. remains intensely focused on the Korean Peninsula, as North Korea shows no signs of stepping back from its nuclear program. Russia may not have many avenues to shape this situation, but that’s not going to stop it from trying. Moscow has reportedly delivered certain resources, like flour and possibly crude, to Pyongyang in a potential attempt to weaken U.S. moves to isolate North Korea. Russia doesn’t necessarily have any strategic interests in North Korea, but the situation on the peninsula offers a useful distraction that could keep the U.S. from focusing on the Kremlin. China, which has seen deteriorating relations with the U.S., is another place where Russia can create a distraction. On the same day the sanctions bill passed the U.S. House of Representatives, China and Russia held joint naval exercises in the Baltic Sea, another region sensitive to Russian assertiveness. China and Russia don’t see eye to eye necessarily, but Beijing may also be the target of future U.S. sanctions for its unwillingness or inability to push back against Kim Jong Un. A show of solidarity with China in a region like the Baltics, where the U.S. has made security guarantees, serves Russia’s purposes nicely. Then there’s Ukraine, in large measure the fundamental issue that lies unresolved between Russia and the United States. On July 31, The Wall Street Journal reported that a joint State Department and Department of Defense proposal to provide Ukraine with defensive arms was delivered to the U.S. president and is under review. In some ways, this move would be even more worrying for the Kremlin than sanctions are. It’s not surprising, then, that there have been signs that the situation in eastern Ukraine is worsening. Some armed units in Donetsk and Luhansk will reportedly participate in military exercises with the Russian army in August and September, and Kiev cut off electricity to Donetsk last week. This may foreshadow things to come. This is not an exhaustive list of where Russia will seek to respond to the sanctions issue. Moldova, the Balkans, Eastern Europe and Central Asia are also compelling candidates. The goal in all these regions is not to trigger an actual conflict but to create the impression that conflict is possible, at least to the extent that the U.S. will release some of the pressure on Moscow. The secondary goal is to capitalize on and even exacerbate tensions – sometimes the result of U.S. overextension, other times a result of competing interest – between the U.S. and its allies. And Russia may have a somewhat unexpected ally in the European Union, which did not approve of the expanded sanctions but could do little to stop them. Russia will try to exploit the gap between U.S. and EU interests on this issue. In particular, Moscow will avoid destabilizing activity that jeopardizes even a small confluence of interests with Germany. This is not a perfect solution for Russia. It suffers from two critical problems. First, the White House doesn’t control U.S. foreign policy. Only Congress, which has firmly supported sanctions against Russia, has the power to dissolve them. Russia therefore can’t reach an understanding with the U.S. president to make the sanctions go away. He would need congressional approval, and there’s arguably as much conflict between Congress and Trump as there is within the Trump administration itself. Second, the fundamentals of Russian power put Moscow in a very difficult situation. The Russian economy is struggling with low oil prices, and President Vladimir Putin does not have a great deal to show for his leadership beyond a freshly contentious relationship with the United States. Putin needs to find ways to show both the Russian people and the world that Russia is powerful – even if it isn’t. Russia is holding a weak hand, and though it is fair to say Moscow has demonstrated it knows how to play a weak hand very well, the deeper point is that the sanctions are forcing it to play the hand whether it wants to or not. Stocks are even more overvalued than they were 10 years ago, though other signals appear more benign. It would be easy to hang our heads in shame as we approach the 10th anniversary of the 2007 bull market top. Most of us failed to recognize that the top had even occurred until well after the fact, missing the early warning signs that, in retrospect, seem so obvious. From the Oct. 9, 2007, market top to the March 9, 2009, bottom, the Standard & Poor’s 500 index went on to lose 57%. Consider what was happening 10 years ago this summer: On July 11, 2007, the Federal Reserve placed 612 mortgage-backed securities on its credit watch. On Aug. 6 of that year, American Home Mortgage—then the 10th-largest mortgage lender in the U.S.—filed for Chapter 11 bankruptcy protection. 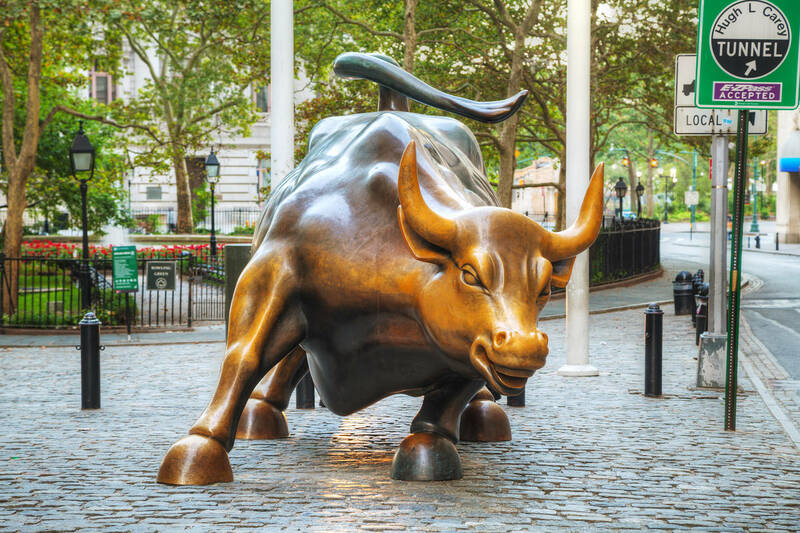 Small-cap stocks, as measured by the Russell 2000 index, hit their bull market high on July 13—and over the next five weeks dropped more than 12%. How could we have missed these signs? No doubt we won’t miss those particular ones if they were to occur again. But, needless to say, they won’t. Whenever the current bull market comes to an end, it inevitably will have been preceded by an entirely different set of warning signs. And since bull market tops are characterized by widespread optimism, most of us will ignore them. There is at least a ray of hope, however, if you’re willing to resist the widespread euphoria that accompanies tops. According to a number of market analysts I interviewed for this column, most major market tops do share certain telltale characteristics, even if their presence doesn’t guarantee that a bear market is imminent. By focusing on them, it’s possible to avoid being taken completely by surprise by the next bear market. Overvaluation. Valuation indicators such as price/earnings, price-to-book, price-to-sales, or price-to-dividends ratios are notoriously poor at identifying market tops. Overvalued markets can remain that way for quite some time, if not become even more overvalued, before the laws of gravity set in. But we ignore valuation indicators at our peril, since it’s also true that almost all bull market tops in history have begun when they signal that the market has become overvalued. In the summer of 2007, the stock market—as measured by these traditional valuation indicators—was more overvalued than it had been at almost all previous peaks since 1900. In fact, regardless of the valuation indicator chosen, there had been only one previous market top when the stock market had been more overvalued: the dot-com bubble in 2000. A struggling financial sector. One of the S&P 500’s 10 sectors that typically suffers when a bull market is approaching its end is financial stocks. During the last three months of all post-1970 bull market tops prior to 2007, the sector lagged the S&P 500 two-thirds of the time, according to Ned Davis Research. And it did so again in 2007, lagging the S&P 500 by 3.1% over the three months prior to the Oct. 9 bull market top. An even stronger early warning signal came from smaller regional banks, according to Hayes Martin, president of Market Extremes, an investment consulting firm that focuses on major market turning points. Wide divergences. Another indication of an unhealthy market is one in which fewer and fewer stocks are participating in the uptrend—divergences, in market-timing parlance. Many market-timing systems focus on divergences in their attempts to pinpoint market tops. The Dow Theory—the oldest market-timing system that remains in widespread use today—uses divergences between the Dow industrials and Dow transports as the precondition of a sell signal. The Advance/Decline Line, a market-timing system that measures the number of rising stocks net of declining ones, points to imminent trouble if it shows the majority of stocks to be declining even as the broad averages continue rising. David Aronson has been researching increasingly sensitive ways of measuring the market’s internal divergences. Aronson, an adjunct finance professor at Baruch College and the author (with Timothy Masters) of Statistically Sound Machine Learning for Algorithmic Trading of Financial Instruments, proposes a particularly systematic measure of divergence that focuses on each stock’s recent percentage change. It’s a sign of an unhealthy market, he says, when those changes fall within a wide distribution. This was very much the case in July 2007, Aronson told Barron’s. Prior to that month, the stock market had exhibited more-extreme divergences less than 3% of the time. By October 2007 his measure of divergence reached even higher levels, registering readings that had been exceeded only a couple of times previously. The bottom line: Though there will never be a foolproof system for pinpointing major market tops, it would be incorrect to say that those tops occur randomly and that therefore we should simply give up. The 2007 bull market top did share certain crucial characteristics with prior bull market tops. So where does the current stock market stand relative to 10 years ago? Fortunately, just one of the three telltale characteristics of a top appears to be present today: overvaluation. Stocks, on average, appear to be even more overvalued today than they were at the 2007 top, according to any of the standard valuation ratios.